In today’s competitive skin care market, beauty brands utilize a variety of ways to sell products online through their skin care e-commerce websites. Brands who deploy and mange correctly these methods, have a much better chance at growing their online business and sales. Start-up companies, small brands, and larger established companies utilize these methods to generate online sales. Regardless of size, the below top 10 ways brands sell online will produce results if done correctly. If a brand is not sure how to go about these methods to generate sales online, they can always get assistance through skin care business consulting services. Industry experts can quickly shed light to options and opportunities and discuss the details. 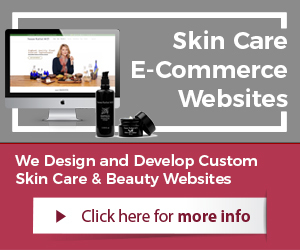 One of the most important ways to increase online sales for beauty brands is having a quality, well architected skin care e-commerce website. Skin care consumers are used to quality and a certain status quo when it comes to website design. The beauty industry is a very visually driven market. The shopping pages must be well designed and the checkout process should be user-friendly. Blogging is a critical to gain exposure and website traffic for skin care brands. Beauty consumers read much about ingredients, benefits, trends, and formulation processes of skin care products. Brands, who wish to increase chances of product sales through e-commerce sites, should upload blog articles at least 3-5 times per week. Brands that wish to gain exposure online and publicity should write and publish online press releases. Press release should be written at least once a month, published, and distributed through a several of press release distribution websites. This can greatly enhance online visibility for brands. Conversion optimization methods are the most neglected by brands usually. Any conversion improvement for e-commerce websites can drastically increase e-commerce product sales, without additional marketing. Conversion optimization is usually done on the home page and store pages of a website. If brands wish to accelerate product sales online, companies should offer discounts, deals, and product promotions. They can be offered seasonal such as Christmas and Thanksgiving, or monthly deals and product promotions. Many brands offer such deals as free shipping and consumers tend to react positively to these types of promotions. Video marketing is one of the fastest growing method to promote and market skin care products online. The conversion rate of videos is much higher than images or text. It is interactive and videos are easily shared across social media and a key element of online marketing strategies and campaigns. Search engine optimization is the most effective method of marketing skin care products online. Consumers trust organic search results much more than paid advertising. SEO takes time so this method is not a fast one, but nevertheless the most effective method to sell beauty products online. Unlike the articles written for a skin care blog, other articles should be written for publishing only. Separate articles should be written and published on article distribution websites for online marketing. 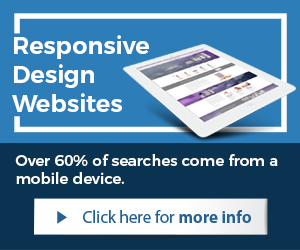 This creates additional website traffic and product sales opportunities. Social media marketing campaigns are an important part of online marketing. They support other marketing methods such as SEO as well. People spend much time on social networks, which are two-way public relations channels and very beneficial for brands to utilize. Paid advertising campaigns can get very expansive and skin care brands must be careful in how they use them. Specific products and keywords can be bid on and paid advertising campaigns launched through services such as Google AdWords. If skin care brands wish to increase website traffic, gain exposure, and product sales online, the above methods can certainly help to get this accomplished. When brands deploy all methods simultaneously, they are most effective and brands will see the largest return on their investment. There are many other forms and methods to market skin care products online, but the above 10 methods are the most popular and effective. 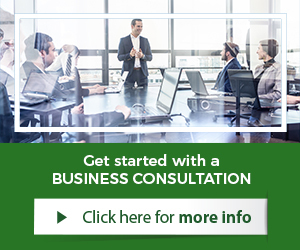 If brands are not sure what to do and where to start, marketing consulting services can be always utilized to gain knowledge and expert advice. This can avoid costly mistakes and ensure brands; it gets done right the first time around. What Is Internet Marketing For Skin Care Brands?